If you really want to take your start-up to the next level, then we think you already know by now that business networking is extremely important. Knowing the right person could help you find new customers, get better references or just find new business opportunities. We all know that a good business networker establishes mutually beneficial relationships to advance their business or careers. You cannot be a good networker if you are not accustomed to sharing information and to help when help is needed. If you think you still need to learn a little more about business networking and how you can be better at it, here are a few tips we learned over the time while building our Rolodex. First of all, we know lots of people find it difficult to go to networking events, even though they interact with plenty of people on a day by day basis, when it comes to business networking, they just are a bit frightened. Don’t worry, the best way to get over this issue is to set up goals. Say you will have an event next week. You don’t have to meet everybody that is present. Just set a specific goal. You will socialize with at least 5 persons at the event. You will have to learn a bit about them, get their contact details and assess how they can help you and also how you can help them. Try and mingle, don’t just stand there by the food tables. Stop checking your smartphone, and even if you meet friends and acquaintances, greet them, exchange a few words then start “working the room”, circulate and try to open discussions, in the end, it is a business event, people are there for networking. When you start discussing with somebody don’t just ramble about yourself and your business, let them tell you what are they doing, what’s their business, and try to find ways your business can help theirs. Listen, ask questions, be interested in what they say! Ask them open questions, those that can be answered with merely yes/no answers, let them tell you the story of their business, and also tell them the story of yours. Maybe a witty story of how you got the idea to open your business or a funny story of a client that helped you improve your services. If you know you have the tendency to ramble about your business, create a short description about your business and rehearse it a bit. You don’t have to be mechanical, but set a few key points that you want to address and rehearse it a little. In the end, after the event finished and you go home, remind yourself about the entire night and next thing in the morning follow up your connection. If The key is to do this follow up in no more than 48 hours, or people might not remember meeting you. 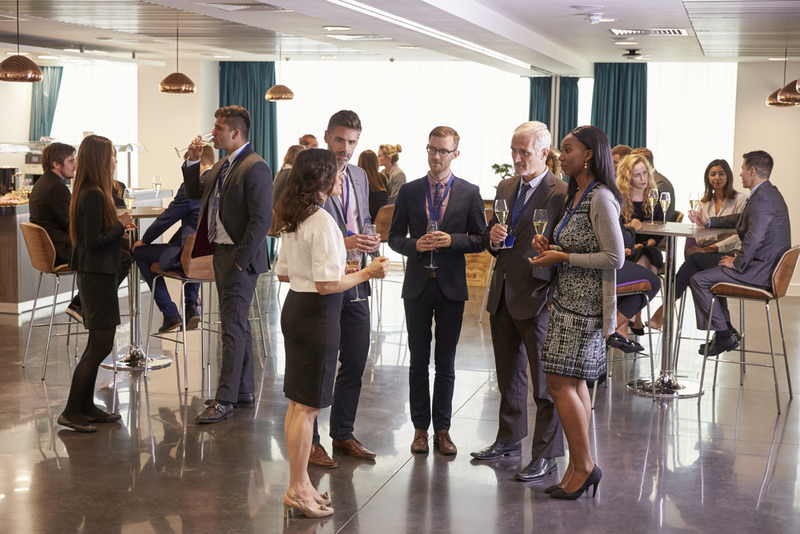 Networking helps you, we already know that and if you follow this few tips, you will be remembered and you will no longer feel that events and social functions bore you.